Jeffrey came to Interstate Partners in the Spring of 2006. 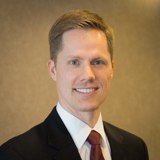 He is involved with the marketing and leasing of the Wisconsin portfolio. IPIL is pleased to announce the sale of four properties: Prairie Business Park I, Prairie Business Park II, The Grove at Randall I, and The Grove at Randall III! 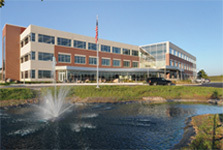 Sub-Zero Group, Inc. leased the remaining space at Prairie Business Park III bringing their total suite to 275,265 SF. Sub-Zero Group Inc. signed a 225,000 square foot long-term lease at Prairie Business Park III, located at 200-290 Burnet Drive. The Madison, WI-based luxury appliance manufacturer and distributor is consolidating two facilities when it relocates to Prairie Business Park. Sub-Zero was represented by Tim Rikkers of Cresa Partners. Prairie Business Park III is a 275,000 square-foot facility featuring precast construction, 32' clear height, and 40 docks in a cross-dock configuration. WESCO Distribution, Inc. signed a 67,000 square-foot long-term lease at Prairie Business Park II, a 203,000 square-foot property located at 41-59 Prairie Parkway. WESCO is a Fortune 500 leader in industrial supply with an extensive offering of electrical, data communications, general maintenance, repair, and operating (MRO) and electrical OEM products. The City of Elgin approved IPIL’s Watermark at The Grove, a 258-unit luxury apartment development with significant above-standard amenities! 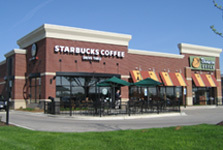 IPIL is pleased to announce the sale of Huntley Regency, a five-building 43,350 SF retail center located on Highway 47 in Huntly, IL, that included Starbucks, ALDI, Hollywood Nails, Rookie’s All American Pub & Grill, Little Caesars, Jimmy John’s, Brunch Café, Sport Clips, Sleepy’s, and Athletico!